And the NBA All star WINNER is..
Who has better odds of winning the All Star game this week? Team LeBron? Or Team Curry? 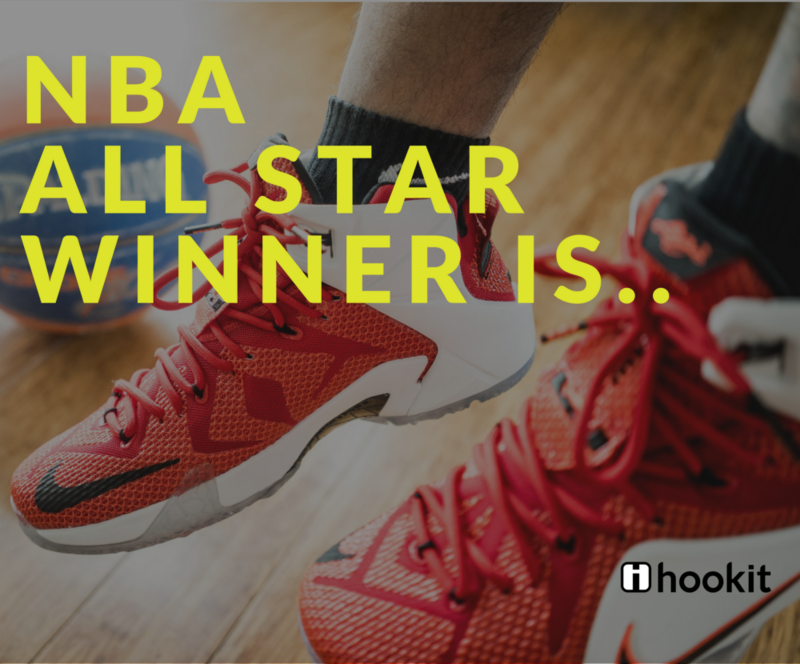 With all the buzz surrounding the NBA All Star game this weekend and the odds and bets about who will win, the real winners are — BRANDS. Brands and sponsors are always vying for the top honors of any game being played today and the All Star game is no exception. Add social media to this mix and a potential new channel has opened up for brands to connect and sell to their intended audience. For years, Nike, Adidas and Under Armour have revolutionized the sneaker industry and turned it into a cultural phenomenon. With fresh designs and signature lines from top players, a basketball sneaker is a unique identifier for any dedicated fan. When we consider the All Stars this year, 9 among the 28 All Stars have their own sneaker line. With 99M followers across his social media channels and 114M interactions from the start of the season, LeBron James is the “King” of social media as well. He earned a media value of $14.3M for Nike with who he has a lifetime deal worth over $1billion. LeBron James is undoubtedly the most valuable player for Nike. Stephen Curry has been the face of Under Armour since 2013 and has helped Under Armour gain prominence in the popular sneaker industry. With 39M followers across his social channels and 20.5M interactions during the season, he earned a media value of $2.2M for Under Armour. At a time when Under Armour ousted Adidas to reach the number 2 spot in the sneaker industry, six time All Star James Harden was signed on to be the face of Adidas. With 13.4M followers on his social channels and 26.1M interactions during the season, he earned a media value of $572k for Adidas. After Adidas bowed out from a 11 year partnership with the NBA, Nike signed a $1billion NBA jersey contract during 2015 beating Under Armour. Starting with 2017–18 season, the Nike logo was added to all jerseys and shorts (except Hornets which will feature the Jordan brand) of NBA teams. With this masterstroke, Nike has started to earn the BULK of SOCIAL MEDIA VALUE compared to Adidas and Under Armour. 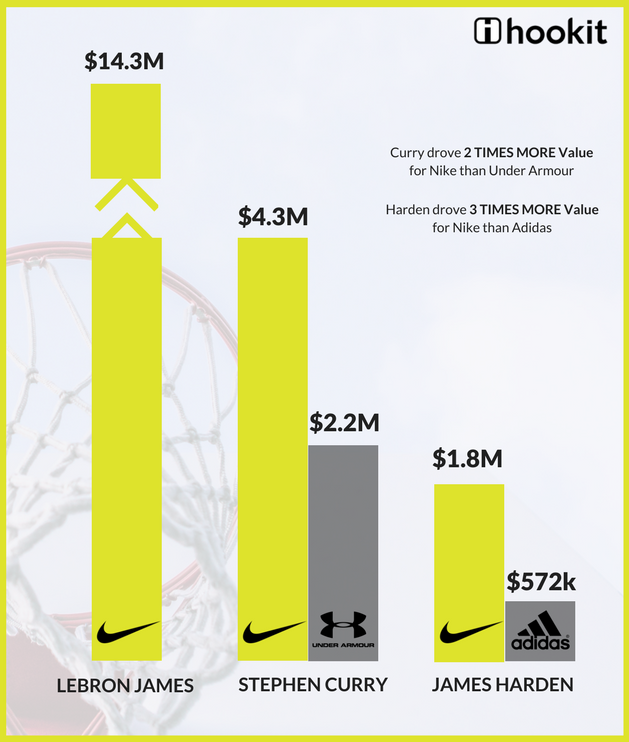 Stephen Curry drove 2 times more value to Nike than Under Armour while Nike earned 3 times more value from James Harden than Adidas. The only exception was Damian Lillard, who earned a media value of $3M for Adidas compared to $1.2M for Nike. 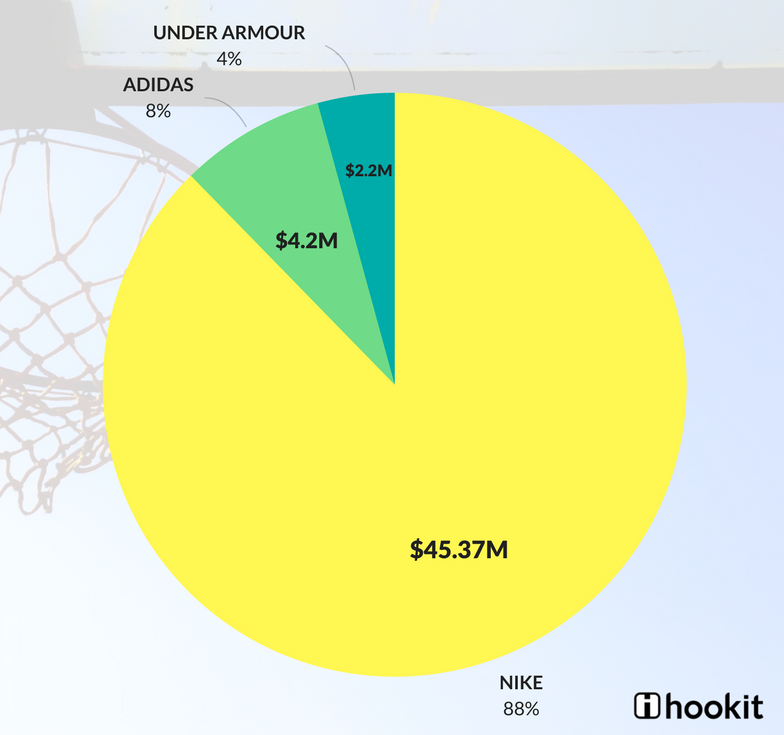 The total value that Nike earned in social media from NBA All Stars during the start of the season until now was a whopping $45.37M (including $722k earned from Jordan), while Adidas earned $4.2M and Under Armour earned $2.2M. With competitor brands encroaching and earning more media value on social media than the sponsor brands, it has now become necessary to not just measure a brand or sponsor’s performance on Social Media but to educate and follow best practices to maximize sponsorship ROI. Hookit provides meaningful and actionable insights for brands and sponsors to help identify and address loss in earnings from social media and to track and measure the value generated by previously unknown and potentially lucrative sources. By sponsoring NBA jerseys and firmly on Team LeBron’s side, Nike has set itself up to win the social media game. 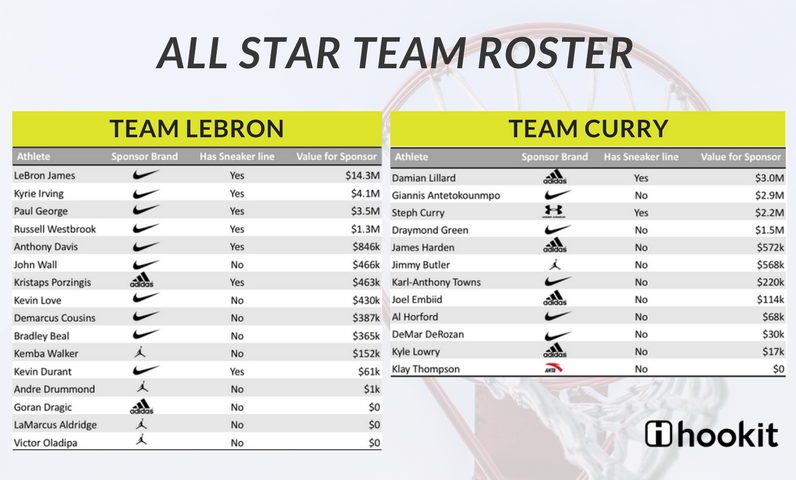 Because, it doesn’t matter which team wins the All Star game tomorrow — NIKE HAS ALREADY WON. Who do you think will win the All Star Brand game this weekend? Sound off in the comments below! Did you know? Hookit also measures social platforms Weibo and VK to provide a holistic and global picture of all your sponsorship investments. Hookit is the pioneer and leader in the #spontech space. LEARN MORE about how Hookit can help you power your sponsorship intelligence. Congratulations on the Social Media Gold!